I am a 20 year old female and I am addicted to heroin. I started using opiates when I was about 17 and wasn't really addicted until I was 18. I haven't been to rehab because I don't feel like it's the right time. Will any time be the right time? I am a dancer at a gentlemen's club to support my habit. I honestly was interested in dancing, but never thought I would do it. Drugs are the only way I can deal with doing my job. Now I feel as if I'm simply working to support my habit. I spend almost every dollar I have on heroin; I would say I spend a good $120 on heroin a day. I was a good girl before all of this. In high school I played volleyball and was the president of student council. I took AP calculus in high school and took two colleges courses my junior year of high school. I was also in a scholars program my junior year. I threw everything away for a boy who did drugs. I thought I was in love with him when later all our relationship was, was drugs. He introduced me to cocaine and opiates. Everything I said I would never do, I've done with him. Now I am an addict and still supporting his and my habit and we aren't even together and we don't live together. I don't have any feelings for him, I'm just used to supporting him. And I don't want him to be sick because I know the feeling. He started using needles... I still don't, but I'm afraid it will get to that point. I always said I would never use needles but I also said I would never use heroin. I know I am not helping him nor myself but this habit has been going on for years...when will enough be enough? Comments for My ugly heroin addiction! Sad story that can only change if you take action. Sadly, all heroin addiction is ugly, and once addicted it attacks our brain forcing us to do things that we never thought we would. Also, heroin/opiate addiction is a disease that is usually fatal if left untreated. I don't know you, but you seem to have a lot of potential that the opiate addiction is taking away from you. But all change is difficult and ending an addiction is likely one of the most difficult changes of your life. Ending addiction almost always requires a transformational change in your life including gaining a new set of friends and social circle that don't use drugs. There is so much about your situation that I don't know so it makes it difficult for me to advise you. Do you have any contact with your family and can they support you as you decide how to move forward? Why is this the wrong time for rehab? Is there anything anyone can do (including you) to make it the right time? Are you waiting for your former boyfriend to go with you or decide he wants to stop? Do you have any friends that don't use who might help you to get help? Have you tried going to NA or AA meetings? Every person I know that has successfully ended their addiction is working the 12 steps and has a sponsor who has been addicted themselves and helps lead the addict through the process of recovery. There is hope and you can learn to end your dependence on opiates but the ball is in your court. You have to want to strongly enough to begin to find the resources necessary to help you find the path into recovery. 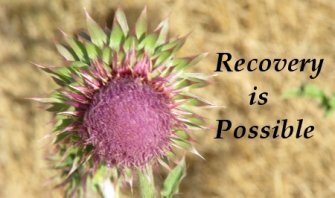 Each of us unique and our response to addiction and addiction treatment is unique. There is no one size fits all approach to solving this dangerous problem and disease. You seem to have amazingly good awareness of the harm your addiction is causing your life and hopefully that will help you to find a path away from it. Thank you for the comment and I am sorry I did not respond sooner. But yes I do have contact with my family. I am actually living with my parents right now. They are and have been willing to help since I told them about my addiction. My sister passed away from a heroin overdose on May 8 2014, and since then my parents have really been concerned. At the time my sister passed, I was living on my own with my other sister. Once my sister passed away, in my home, my parents were afraid of me having my own place and asked me to come back home. It's very sad that even though this disease took my sister's life, I still can't seem to stop. I actually used more after my sister passed away. I thought it was helping me cope with the situation. I don't know why I feel like it's not the right time. There are days where I feel so ready to get sober and go to rehab and the next day I change my mind. I haven't been sober in about 3 years, I "numbed" every emotion I have ever felt and I think once I experience all those emotions again it will be too much for me to handle. I'm afraid to go through withdrawals, I'm afraid of being away from my family, and I'm afraid of feeling depressed. I don't have many friends that don't use, but I do have some. All of my closest friends are addicts and some of them have started using needles. I'm terrified of needles and terrified of the thought of me using needles. I have never gone to an NA or AA meeting. I don't really know how to go about that. Once again thank you for your advice. Your story sounds so much like mine...and the only advice I can give you is to get help. I have been addicted to heroin for about 5 years now, and I'm finally getting my s*** together. "Your life won't change until you change your life". What it ultimately comes down to is, are you tired of living this lonely, desperate, pain ridden life? If the answer is yes, GET HELP. Because the only places you will end up if you continue using is jail, institutions, or dead. Good luck. Going to meetings is easy and a go start on your recovery. It is easy to go to AA and/or NA meetings. Simple do an online search for meetings in your area and look for meetings that meet when you're available. Then just show up. That's it! The meetings are completely anonymous and you don't have to to say or do anything if you don't feel like it. Find meetings where they are working the steps and try to find a female sponsor who has successfully ended an opiate addiction. You should go to meetings DAILY for the first 90 days and you'll be amazed at how much can change in 90 days. At the meetings you will develop a new circle of friends who, like you, have recovered from their addictions. They'll help you to learn how to manage your emotions so that they're not so overwhelming for you. Don't wait to go to meetings until you think it is the right time, now is the right time. The meetings are free and there are no strings attached so why not try it. Where is your family ? There are people who do love you... get back to them. Stop taking care of someone who you don't love, you are his enabler neither of you will ever get clean if you keep up this cycle. Seek God, let Him be your source of light, we all have a God shaped hole in our heart and it can't be filled by anything else. I lost my son to heroin on October 9 2014 only 2 ways out clean or dead trust me clean is better. You are the only one who can make the change you have to do it no time is a good time the time is now. I have seen great recoveries and I have seen death it's up to you. Sweetheart, you need to get help now... go to rehab. It does help and when you get out it basically means God is giving you a second chance. Don't screw it up, get help before you die. Do it for your family for your friends,..for you. You do need help. In my personal opinion. My old boyfriend used to do heroin and I was always around him and one day he didn't have enough money to get another fix so he went through withdraw and was very sick for a whole day and it was the hardest thing to ever see, he had the sweats and a bad fever. Eventually I gave in and gave him some money to buy more. After that, I had enough and was terrified. I made him set up a meeting/doctors appointment to get subutex so he wouldn't have to go through withdraw. This prescription drug helps with heroin addicts and I would definitely take this drug if you have a heroin problem. My son struggled with drugs since the age of 12. He is now 29 and FREE of any desire to revisit the past habits. Of course, we as parents and the siblings went through a living hell for many years. Micah OD'd 8 times and was pronounced dead twice. We all lost so much, an addict will do whatever it takes to get the next fix; he was no exception. After his lady of 6 years came back to him, and encouraged him to 'get straight, we can do this together...' that was the beginning of recovery. We found Teen Challenge, and his success was / is remarkable. As a touring musician, I now take my Prodigal son with me on tour, and he gives an incredible, life-changing testimony. Emotions run high in the audiences, mainly churches, and always people come forward with similar stories, and tell all. Love for God, faith and determination changed my son's life. His wife is now pregnant with their first child. Hope is as close as surrender. Blessings friend. I have the same story as you. There is hope. I am also a 20 year old from Connecticut who battled heroin addiction since I was 16. Started with pills, did them with my boyfriend, I was a dancer at a gentleman's club and also supported my "man". I went into treatment that was covered by my insurance and I got to go to California for a little over a month, it was my first time in rehab but not my first time in treatment. It was so hard there it hurt and I craved and craved and begged my parents to let me come home. After being told I can't come home I got used to the fact i was stuck there and I need to get used to it. After 42 days I came home, hung out with the same people which I was advised is very dangerous to do and I relapsed! Yep I got 60 days (exactly) and then relapsed with the same scummy boy. After my 30 day run of getting high, I couldn't do it anymore I've had enough, I got on suboxone to help me get off without intense withdrawal and after seriously a month of detoxing slowly with suboxone I got clean completely. If there's a will there's a way. Have no fear for God is with you every step of the way. Don't you want to be able to look into your mothers eyes and say " momma I did it" because 7 months clean and to this day I say it to my mother and she cries TEARS OF JOY, no more tears of fear that she won't be able to have her little girl around anymore. I never knew the pain inflicted until I saw my mothers notes she had written hoping I'd never see begging for her daughter back. I hope you do the same, there's a way out, there's hope, give your family their beautiful and smart daughter back they need you. You have a friend here! I'm James. Wow I feel like the words you wrote came from my mouth. Just like you i never thought I would use dope. In my eyes, it was for low-life and junkies... not me. I would never do that! Now I am that person! I'm keep telling myself I'm going to stop and I keep making excuses. I tried cold turkey and you know that doesn't work. I bought a bunch of Suboxone but just look at them when i open the draw. If you have some advice i sure can use it! I'm just looking for a friend that knows what I'm going through thank you! I can't speak from the addicts point of view but I can tell you about my experience with my brother who is very recently clean. He has struggled with addiction for as long as I can remember, but over the past 3 years it has been a roller-coaster for my entire family. I have helped my brother detox at home several times and each time is harder. I have given him money and taken him to wherever he was staying that night. It has taken my brother getting arrested several times and coming in and out of our house every time he decided to get clean. Everytime he said he was done and he "didn't want to live this way anymore" we would jump to help him. Let him stay with us only for him to give up when the anxiety set in and run off with only the clothes he had on his back. He did this time and time again until we had to finally say enough is enough! We cut him off. He got arrested this last time and went to prison. He got out and we said he could stay with us this time around and he is doing good so far. My point is he was in a similar situation you are in. He got back into drugs when his fiancé had a miscarriage and was prescribed Percs and then they both ended up on heroin. They fought constantly about money or whatever and even had small children in the house while they did it. I would hate to see you get to that point so I would suggest reaching out to some family for support and going through detox first and go from there. I love NA meetings. Even though I'm not an addict, they help me understand where my brothers head was at and it was comforting to me. It's going to be a long road and it will NOT be easy by any means but it is doable. Don't give up and get away from the temptation whether it's the people or even your surroundings. Sometimes being in your comfort zone will lead to your failure in your journey to sobriety. You got this!! I have exactly the same experience as u paying for my exes drug use and my own and working in a gentleman's club. Only, i was smoking meth 14 hours ago and again me and him had a fight and i told him leave me alone. It's like a recurring thing every time i was clean for a month. Then i lost my faith. I think God, our faith, listening to others, and one second at a time is the only way out. I find it so hard also to stay away from my ex, especially when I've so used to him. I hope this time i do. I'm praying for u girl let me know how u get on x friend from Ireland.